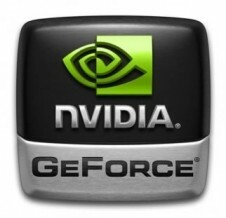 Nvidia has baked a fresh batch of drivers, with two flavors covering Windows XP through Windows 8. Common folk running Windows XP, Vista or 7 should grab GeForce 296.10 as it boosts SLI performance in various titles, including Blacklight: Retribution, Dirt 3, Dishonored, Dungeon Defenders, F1 2011 and rFactor 2. The update also either improves or adds 3D Vision profiles for Dear Esther and Deep Black: Reloaded. You'll also find support for the GTX 560 SE and roughly a dozen bug fixes across various applications when running on single and multi-GPU configurations (see page seven of the release notes for more information). Folks who haven't upgraded from the R285 family yet can look forward to even more improvements. You can read our previous coverage of 295.73 for more details but the revision delivers a significant jump in Skyrim performance and adds support for Ambient Occlusion on various titles along with SLI profiles for 12 games and 3D Vision profile changes in 41 titles, not to mention other miscellaneous enhancements and fixes. Although last month's R295 driver worked on Windows 8, it served as more of a generic driver with limited functionality. Version 296.17 solves that, adding full support for the new Windows Display Driver Model (WDDM) 1.2 along with 3D Vision and 3DTV Play products for more than 600 games, Blu-ray movies and photos. Nvidia notes that 296.17 doesn't support hybrid power with Intel chipsets or non-Siemens Fujitsu notebooks.